Warner Bros has announced that it has purchased Avalanche Software, the studio which was shuttered by parent company Disney Interactive last year following the underperformance of its Disney Infinity franchise, which Avalanche developed. Warner Bros has succeeded in re-hiring many of the staffers which were let go last May, including former head John Blackburn. Warner Bros has also acquired the rights to Avalanche's Octane engine. 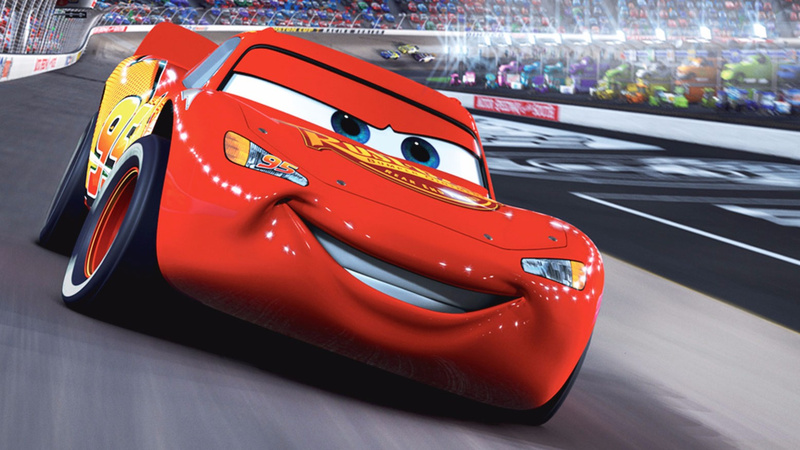 Ironically, the resurrected Avalanche will once again be working on a Disney property thanks to an agreement between Warner Bros and Disney to produce a video game based on the forthcoming Cars 3 movie. The game - which follows 2011's commercially successful Cars 2 adaptation, also coded by Avalanche - is scheduled for release in 2018. It might seem like an odd move, but Disney has effectively walked away from internal games development and moving forward will use external partners to create licenced video games based on its IP. It is a tremendous pleasure to welcome Avalanche Software into our development stable, and we look forward to working with our new team, Pixar Animation Studios, and DCPI [Disney Consumer Products] to create Cars 3 based on the upcoming film and hugely popular franchise. The Avalanche talent and technology are a great addition to our group of outstanding developers, and we are excited for this Cars 3 game as well as all of the future games the team will create under John's leadership. Disney Pixar's Cars is one of the world's most beloved and recognized franchises, and we're thrilled to be taking the story further and faster than ever before through a new console experience based on the upcoming, action-packed Cars 3. We are excited to once again be working with the Avalanche team, who have a deep understanding of the Disney Pixar DNA, and a history of translating our stories into great gaming experiences. There's an excellent chance that Cars 3 will end up on the Nintendo Switch, but are you excited about playing it? Are you also pleased that the talented people at Avalanche are back in the job? Let us know with a comment. But Warner Brothers is owned by Disney anyways, so what difference does this make? I will keep an eye on this at least. Nintendo and Disney are my two favorite fun related things so I can't help it. @Bunkerneath No, they are not. I actually enjoyed Cars Race-O-Rama on the Wii. The open world aspect was pretty fun, as were many of the races. There is definitely some fertile ground to work with here. @Bunkerneath Sorry to be "that guy" but uhhh no, they very much aren't! Warner Bros are owned by Time Warner. They occasionally work together, but they have many competing brands. The closest you get to Disney "owning" them, is they used to have a deal to use the MGM brand, but this has expired (hense why the Florida themepark that used to be called "Disney's MGM Studios" is now called "Disney's Hollywood Studios"). Cars 3 opens June 16, 2017. This game is due out 2018. Yeah, that makes sense. Did nobody think ahead of time this movie might make a good videogame? @rjejr I guess Avalanche were still working on Disney Infinity 3 up until recently; at least they are giving the developers time to produce a decent quality title I suppose. In my book, this is great news. Avalanche did a fantastic job with Disney Infinity, and the Cars playset for Infinity was one of my favourites. Also, the original "Cars" game on PS2 (and I assume Wii) was fantastic (annoying that the PSP version which I bought was massively scaled down). Radiator Springs makes a great "open world" style environment for setting up races. I really loved the first Cars movie. The second one, not so much - it lost most of what made the first one work. I hope 3 is better. But yeah, that early trailer that @rjejr just posted looks awful - I'm hoping that was just a tease style and the actual film will be colourful and full of real characters and depth, not just a "gritty" race movie. It's great that the staff got their jobs back. I love Avalanche and loved Disney Infinity. Toy Story 3 (where the Toy Box got it's start) was a fantastic experience. It's fitting that they are doing CARS 3. I don't really care about Cars, but I'm glad they resurrected the studio! The end result of Infinity was pretty static and charmless. But then again, so's the whole Cars franchise, so seems like a match made in some kind of metaphysical geographical representation of the afterlife. Cars 3 looks very promising. Cars 2 was an abomination and Pixar's worst movie ever made. As for the game, licensed games tend to be crap, so I'm not looking forward to that. Avalanche Software's Cars and Infinity games were a lot of fun, glad to see they are back to add to at least the Cars franchise again. It sounds like the studio will be given additional work beyond this title, hopefully more games in the Disney universe, but we'll see. Strange that the game would be slated for release a whole year after this summer's movie release, but maybe it will only be loosely based on movie and be more along the lines of past games like Cars-O-Rama. With a release that far out I think a Switch release is likely, but I'm not really seeing a Wii U release. @Nintendude789 Avalanche Software got their start making licensed games including Toy Story and Cars games for Disney, before they were bought out and brought into Disney Interactive. They have a great track record on making some great games in this franchise already. The closure of Disney Interactive had more to do with Disney (mis)management in manufacturing too many figures as the general consensus is the Disney Infinity games were good. The first game sold out of virtually all of the figures so with the second game they manufactured a LOT more. To give you an idea, it was mentioned that one million Hulk figures were made and similar numbers for roughly every other figure in the second and third game. Granted some figures won't sell well to begin with so they ended up with a lot of extra inventory forcing the closure. @rjejr I watched the trailer for Cars 3 and was like what surely not , I completely agree with you kids don't need this . Come on Disney you can do much much better . At the very least, it's great to see them back in business! In the realm of wishful thinking... nah, most likely not happening. But at least maybe contracting them again for a couple farewell patches in Infinity? Like the text creator etc working offline? @Bunkerneath Warner Bros Film Studios are actually owned by Universal, not Disney. Back to the topic, why are people wanting this...everyone always puts down the movie-tie-in games no matter if they are fun or not. My kids have a lot of movie-tie-in games (Ice Age, Madagascar, Megamind, How To Train Your Dragon and some others) and they enjoy them to death! I actually don't even mind playing them, but I've never played any of the Cars games, and...actually...never even heard of the movies (Sorry to say that my kids hate the disney animated films and were bored to death in Walt Disney World...which in turn, my wife and I never liked them either...some of the live action movies were good and the company was good from the late 80's down, but not as great now...saying this before you Disney fans start knit picking). Guess I'll wait and see what the game is, but I'm sure it would be picked up on PS4...since my kids actually enjoyed that horrible Kung Fu Panda Showdown Of The Legendary Legends game...Snoopy was good though! @Romeo-75 This is the way with not just Disney, but Dreamworks and every other animation company...sequel after sequel. At least, looking at most of the disney animated sequels of the past...it's not direct to video and just repeating the same exact story over again...hence, Lion King 2, Little Mermaid 2, Mulan 2, Hunchback 2, Pocahontas 2...etc)...however, when there's a hit film, bound to be numerous sequels...look how long those Land Before Time movies are going on for! It's not just animation though, it's even live action...and yes, hollywood is out of ideas, but at least it beats remakes, re-imagining films and...what seems to be now...bringing a movie from the 80's or later back for a sequel. @Nico07 There was an article somewhere too, were there were talks about Disney Infinity 4...bigger figures that would stand taller but would cost almost $100 each...imagine if they made that game and imagine what the starter pack would cost...if they did that, they surely would have gone out of business then, instead of before, but in actuality, I think the Toys To Life games are quickly coming to an end...the Nintendo Amibo's are starting to be found more and more without being out of stock constantly...some even being on sale more...and the Skylanders games are becoming rather cheap and also going on sale more...the only one I don't really see going on sale that much is Lego Dimensions, and that's probably going to the fact that the piece sets can be used as regular Lego toys and Lego is a very popular toy company...other than that, just like the Music Peripheral games, it was bound to happen...I'm actually waiting for the day when the Skylander games end. Cars 3 will looks like Initial D in my opinion. Very primitive way of thinking to be the fastest, chasing for fame and glory, rivalry, feud, get the ladies, blah blah blah. So does with Fast and Furious. I never like them. But at least I like Eurobeat songs from Initial D that appeared also on Para Para Paradise. If people haven't tried the Cars 2 videogame yet, I'd highly recommend it. After seeing the disappointing movie that it accompanies, I was actually suprisingly impressed by how much fun I had with it. It's similar to Mario Kart, but with shooter elements added to the mix. There's even a fun battle/mission mode attached to it. So in short? Don't dismiss this game just because it's Cars-based. Avalanche knows what they're doing. Disney licensed games tend to be quite good (albeit on the short side, which is only fair considering that they're merely a means to further publicise the property that they are based on). It seems more often than not that the quality of Disney's games outweigh the quality of their movies. I completed Chicken Little : Ace in Action (which belonged to my brother), which was quite good, but I beat it in a single sitting (equating to around 3 hours of gameplay, if that). The movie itself is absolute rubbish though. @JLPick I think I read the same article with the big figures expected to cost up to $40 - $50. There were only supposed to be half a dozen or so of these and the rest would be smaller sized. But yes I agree the toys to life trend seems to be on its way out with so many options consumers dollars were tied to typically only one or maybe two yet production never slowed down. Personally I like the Disney Infinity franchise and my family still plays it a bit mainly building cool toy box levels. We have every single figure and power disc as well. Amiibo are nice but offer little more than being nice Nintendo figures as they are the best quality of any toys to life figures. Sure Lego Dimensions are actual Lego, but there isn't a lot of detail needed there. I have most amiibo except two Animal Crossing and the Kirby line (and of course the many Animal Crossing cards). Skylanders is a fun franchise, but being the oldest it never seemed to really innovate much. Sure they added actual toy vehicles, but the gameplay was largely the same. It's still a lot of fun, but the replay value isn't as great as with Disney Infinity and Lego Dimensions. I like Skylanders but have been waiting on the current game to drop to around $15 before buying in without any additional figures. My wallet is glad these are about done, even with different sales. I would much rather Skylanders continue in just new Spyro games without the figures. This is not really new. LEGO Marvel SuperHeroes, and LEGO Marvel's Avengers, were both published by WB Games, in all honesty. I'm just glad I managed to complete my Disney Infinity Collection a few weeks ago, when I did. I'm not counting the Light FX Figures, since they have the same skill tree sets. I may not have played any Cars games other than Disney Infinity 1.0's Play Set and the Toy Box Speedway. I am starting to appreciate what Avalanche did with Disney Infinity 3.0 now that I able to purchase the playsets at a reasonable price (just imagine if they had done that from the start, $15 DLC price instead of $30 for 6-10 hour game). DI3.0 was actually a very flexible platform that let them do a serviceable job at quite a few genres. But at the original asking price it was $300 just to get a standard game + season pass worth of content, and that was without all the other add-ons. I do hope they tighten up the controls on their racing engine however, the DI version was fairly loose on controls compared to other racers I've played. I'm down with this. It's great to see them be back in business! Hopefully they make a tie-in game for Toy Story 4. I still play TS3's story mode every now and then. I've come to realise, shortly after Disney moved away from first party development, Marvel Vs Capcom Infinite was confirmed. Coincidence? I think not! Let's hope they can scale the heights of Toy Story 3. Disney Infinity was okay, but weak compared to the excellent Toy Story 3 game. @rjejr interesting.i thought the trailer looked fantastic... It's Days Of Thunder. I watched that as a kid. Not for 4 year olds no. But 6-7 onwards... Maybe. I give them credit. I think it's a positive thing. Disney and Warner working together? This joke wrote itself and I have no regrets. Disney looks forward to firing them and re-hiring them again in future. @dumedum "interesting.i thought the trailer looked fantastic"
I'm trying, but I just can't. It may be a great movie, I may really enjoy it, but to take a beloved character like Lightning and presumably start off the movie by having him get wrecked like that? There's plenty of violent movies in the world, does a carton car really to need to almost die? Keep those movies light and fluffy in appearance but dark behind the scenes so only the parents really know the shock value. Plenty of scary stuff in the original Toy Story w/ that psycho next door neighbor boy mutilating all of his toys, but I dont recall them showing him tearing a toy apart piece by tiny piece until it was almost dead. I just hate listening to parents screaming at their crying hysterical kids in the theater - "We paid for this, we are going to watch it all, now stop crying." Crying kids. Think I'll skip the theaters for this one. @Bunkerneath Since when? Time-Warner owns WB, not Disney. As if we would really see the Mortal Kombat universe in Kingdom Hearts. @rjejr I found Toy Story 3 Nazi-like moments terrifying... I think that was as dark as I ever remember. I don't think this is as dark as you think. There was a teaser that only showed the crush and it was tough, but here they are basically presenting a come-back story presumably with a very happy ending. He doesn't die, he gets back on his feet and races again , but against someone younger - important lesson to learn, life goes on, generations, and it is a RACING car, and driving fast should be taught to kids as something that really is very dangerous so they won't do that on the road themselves. @dumedum I have to admit, I haven't seen TS3 yet. Unless I did and I forgot, so many CG movies they kind of all start running together. Yes, a lot of things were scarier. I watched Nemo a hundred times w/ my kids when we were young but we always skipped the eggs getting eaten and the dark deep water angler fish scene. I knwo some peopel view that as coddling my kids or whatever, but they wer elittle kids, it was a fun movi to watch, it wasn' tmeant to be a life learning experince. Real life has enough o fthat, I use thes emovies to escape from leanign that real life is horrible. So yes, other movies have had scary scenes - and I have always hated that Disney always kills it's villains at the end, presumably so kids can sleep better at night - but just b/c other movies have had scary scenes I didn't like doesn' t mean I then want this movie to have a scary scene I don't like. Let Lightning lose and lose badly to all the newer model aerodynamic faster cars, let him be utterly humiliated and told he's old and to hang it up b/c he just can't compete anymore. Then he works hard and shows them all and comes back. Practically the same exact movie w/o the near death experience. @rjejr You'd probably remember it if you've seen it (Toy Story 3). It's IMO the best movie out of the series and one of the best animated ever made, really amazing, but also incredibly scary. Real horror. Life is scary enough right now, do you know any cavity inducing happy movies? @dumedum Zootopia actually turned me off w/ their focus on the DMV portion of the movie. I hate the DMV, living in NY the DMV is the 10th circle of hell. But you did remind me I need to see Dory, and rewatch Nemo first, so I have that going for me. Of course, my family decided to start watching the 4 Hunger Games movies this weekend, that was a pretty bad timing mistake on our part. The movie might as well have begun like Star Wars - "75 years from now, in what remains of the USA destroyed by civil war..."
@dumedum "it's a very small part of the film..."
Thanks, I figured as much, but as you can tell by my reaction to this trailer, it only takes about 3 seconds to annoy me and then I move on to something else. My movie backlog is even much worse than my game backlog.